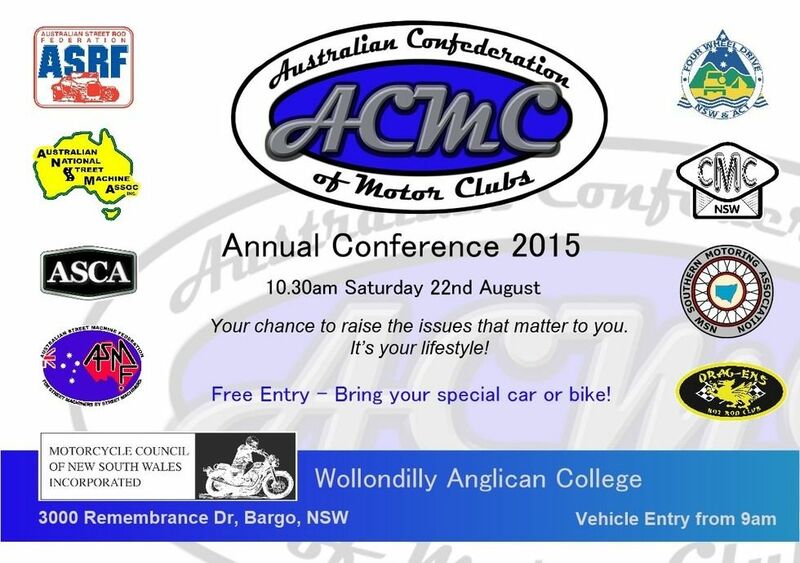 The Australian Confederation of Motor Clubs (ACMC) 2015 annual conference will be held on Saturday 22nd August from 10.30am, at Wollondilly Anglican College. The Australian Confederation of Motor Clubs aims to bring together representatives from various motoring enthusiasts groups to share knowledge and experience. With this knowledge the ACMC can accurately represent enthusiasts in partnership with government, industry and other motoring organisations. This your change to raise the issues that matter to you, and help the ACMC understand how enthusiasts can continue to be accurately represented.